A separate division or section or department is created for handling correspondence to the entire organization under centralized correspondence. 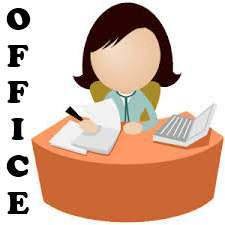 A separate person is appointed to organize and look after the work of the correspondence department. The volume of correspondence is very large in large organization; hence, a separate correspondence department is created and assigned to the qualified person. He exercises full control on the department. The correspondence department receives all letters, gathers the necessary information from various departments, drafts, letters and replies, dictates letters dispatches them and follow up all letters. 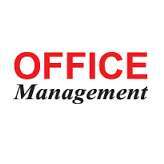 But at the same time, personal secretary is dealing the letters of top executives of an organization. A correspondence manual is prepared by the correspondence department for reference of all the departments. The centralized correspondence system offers the following advantages. 1. Specialization: The trained and experienced staffs handle the work of correspondence. It ensures speed and accuracy in correspondence. 2. Economy: There is no duplication of work under centralized correspondence. Besides, the work has been completed in a systematic way. It leads to saving of time and money. Mistakes and delays are also reduced. 3. Secrecy: The letters of confidential nature are routed unopened to the concerned officials. 4. Continuity: If all the correspondence with any customer is handled by the same staff member, the staff acquires an intimate knowledge of the customers. Hence, customer enquires can be answered quickly and better fol!ow – up of letters is possible. 5. Easy Training: The employees of correspondence section have been easily trained and the cost of training can be reduced. 6. 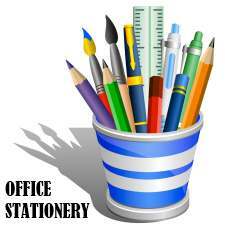 Specialization: The routine work of correspondence staff tends to increase the rate of output as well. 7. Mechanization: The production of correspondence is made by either typewriter or computer. Franking machine is used for stamping the correspondence. Effective use of these devices helps to save clerical labour. 8. 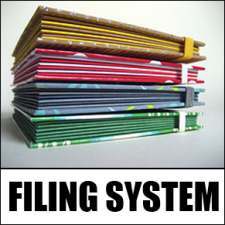 Avoids Congestion: A time schedule has been prepared and followed for receiving and dispatching of mail. It avoids congestion of mail during the rush hour. 9. Concentration of Work: Departmental staffs are relieved from handling of mail work. They can devote their full attention on the work. 10. Checking of Postage: Centralization ensures effective control over the use of postage stamps. It avoids under stamping, over stamping and non – stamping. The disadvantages of centralized correspondence system are listed below. same for dispatching. This process makes delay in dispatching. 2. Interruption of Work: The centralized correspondence section or department has collect information from various departments before drafting a letter. The drafted letter was sent to various departments for getting approval. This may dislocate the work of various departments. 3. Lack of Basic Knowledge: A centralized correspondence staff may lack adequate technical and specialized knowledge of various functional departments. This may lead to inaccurate correspondence.